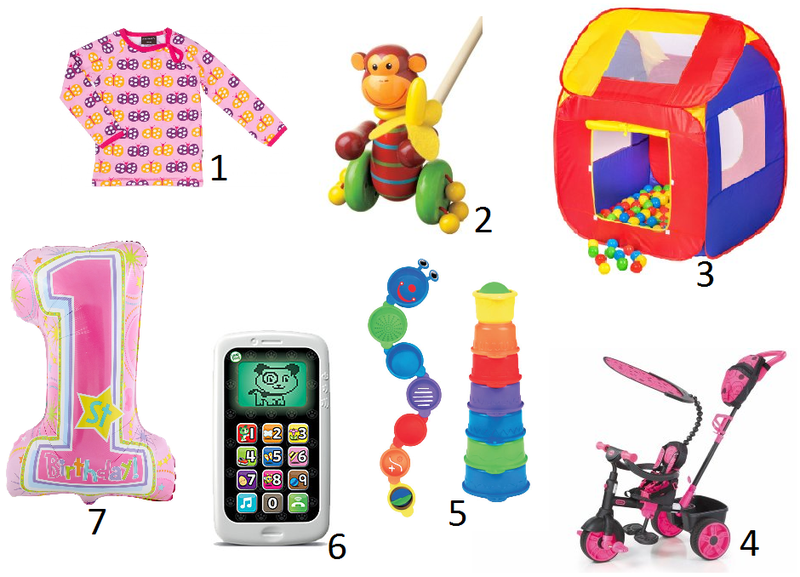 The Breastest News: What to Buy a 1 Year Old? My little girls first birthday is fast approaching (it's this Saturday) so I thought it only appropriate to share some gift ideas for the special occasion. Turning one is a big deal but in all honesty your little cherub won't remember a thing. I remember going crazy with the present buying for Logan when he turned one and I needn't have bothered as he was more interested in the wrapping paper. Since Harlow is the second child Mummy has definitely learnt her lesson and will be moderate with the presents, especially since baby girl just got a shed load of stuff for Christmas! It doesn't mean it can't be celebrated with some awesome gifts though, so here's some of the things I think will make great first birthday presents. As you can see there's not a massive selection and that's because, like I said, when kids are young they're more excited with the wrapping paper than actual toys but hopefully with these gifts they'll get a little something more out of them. At number one we have a gorgeous little top by Maxomorra. It'll be about the only time when your child doesn't complain about getting clothes for their birthday! If you're like me and you don't have endless amounts of space to store kids toys then asking the relatives if they fancy buying the kids some clothes for their birthday is usually a winner. Maxomorra have some awesome vibrant and striking prints in their collection for both boys and girls, often their pieces can be unisex and I personally have bought tops and bottoms to put on Harlow that would more suit a boy but who cares. She'll look fab in them anyway. Number two we have a cute little monkey push along toy. These are great for helping to encourage walking especially for those babies that aren't as steady on their feet as others. Harlow definitely needs this in her life so she'll be getting one for her birthday. She's a cheeky little chop and will walk for about 6 or 7 steps then drops down to crawl as she's knows it's faster. Hoping this will help. A the good old ball pool/pit/tent. Every little boy and girl needs one of these and they make great inexpensive first birthday presents. Just make sure to buy at least 300 balls or so as 100 just doesn't cut it. Also a little tip that buying a tent can be easier on Mummy and Daddy as you're not picking up stray runaway balls every two seconds. Number four is a great gift and one which will last a good while. Trikes are perfect for getting out and about with your little one especially if they are starting to resent the buggy. Great to use especially when the better weather comes in and they come in all different colours. The one in the photo is a Little Tikes 4 in 1 Deluxe Edition and will last till well over the age of 2 and a half at least. Bath toys! 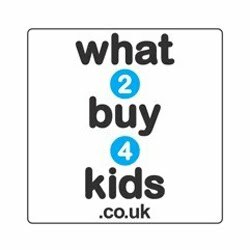 We go through so many bath toys and very quickly due to them being in the water all the time and the squirty ones which have little holes in them can't be cleaned properly so often have to be binned quicker. The cup bath toys are great and this one from Munchkin is super cute. I love the rainbow colours and different cut out hols in each cup for the water to run through. One of my baby girls favourite things is bath time so some new bath toys will never go amiss. I don't know about your baby but Harlow is obsessed with phones and remote controls! If any are within reach she's having it so I'm buying her this cute little Leap Frog Chat and Count Smart Phone for her birthday. Lets hope this distracts her from the TV remote and house phone for a little while. Last but not least balloons! Yes that's right, balloons. Babies, kids and adults alike love them and I can't wait to see Harlow's face when she sees her massive shiny pink helium balloon on her birthday. So much fun and joy will be had from such a simple gift, happy days. I'd love to know what your gift ideas would be for a one year old so please comment and share. 2 comments on "What to Buy a 1 Year Old?"